The Crisis/Hostage Negotiation Course Level 3 (Advanced) will further enhance the knowledge and skills acquired in Crisis/Hostage Negotiation – Level 1 (Basic) Course or it’s 40-hour equivalent and Crisis/Hostage Negotiation Level 2 (Intermediate) or its 40-hour equivalent. Third in a series of three progressive courses, Crisis/Hostage Negotiation – Level 3 (Advanced) prepares students for the most complex and challenging aspects of crisis negotiation – leading crisis negotiation teams and managing crisis incidents. The course begins with policy development for crisis negotiation teams wherein students will learn critical elements of a legally sound crisis negotiation policy. This in-depth look at policy development addresses a number of issues including responsibilities, procedures, training, and critical liabilities related to policy. Selecting the right personnel to serve on a crisis negotiation team may be the most important decision a team makes. Students will learn how to prepare selection policy, write oral boards, select applicants based on crisis negotiation core competencies, and reduce turnover on crisis negotiation teams. Modern policing demands that crisis negotiators remain up-to-date on current trends, strategies, and case incidents. Students will learn how to prepare case studies for presentation for in-service training as well as regional and state association conferences. Effective scenario-driven training ensures that crisis negotiators are testing their skills in a realistic, team-oriented environment. Students will learn how to plan, facilitate, and evaluate scenario-driving training in both team and organizational environments. In keeping with the advanced nature of this course, students will plan, facilitate, and evaluate a culminating scenario-driven practical exercise. Student performance will be carefully evaluated and in-depth feedback will be provided during a comprehensive operational debriefing. Operational debriefings are one of the most important tools available to crisis negotiation teams. Students will learn how to plan, execute, and document operational debriefings. Every crisis negotiation team with a corrections facility within their jurisdiction must be prepared for negotiating with inmates. Students will learn inherent differences between the corrections environment and the community with regard to technique and strategy. Each student will also participate as a member of a small group, responsible for developing and presenting projects in one of five topic areas: Case study preparation, team selection, training facilitation, scenario writing, or policy development. Crisis/Hostage Negotiation Level 3 is a 5-day (40 hour) course. Students attending must have successfully completed Crisis Hostage Negotiations – Level 1 (Basic) course, or its 40-hour equivalent, prior to attending this course and a Crisis Hostage Negotiations – Level 2 (Intermediate) course or its 40-hour equivalent, prior to attending this course. This course is not open to students with no prior negotiation training. 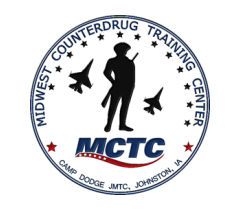 Requests for exceptions for Level 1 and Level 2 equivalents must be submitted and approved by the MCTC Director of Training. This course is trained in accordance with guidelines established by the National Council of Negotiation Associations.